It was a nice Saturday in Berlin. The “arctic cold wave” announced by weather forecasters was still on its way when 200 Holocaust deniers staged an outdoor event “for German culture in Germany”. Nikolai Nerling, a prominent far-right activist who was fired as a primary school teacher because of his “views”, was the organizer, the Jewish Forum reported. While several thousand Berliners protested for a more sustainable agriculture a few hundred meters away, Nazis like Gerhard Ittner used the opportunity to spread their hatred against “the so-called democracy” which criminalized those who uncovered “its lies”, in front of the Reichstag. The German Nazis assembled in Berlin had a foreign guest. Bernhard Schaub from Switzerland, another known Holocaust denier, said Germany had “defended its holy ground and its culture in both world wars”. Schaub used the kind of code language today’s Nazis are known for, by saying the “Soros Clinton Macron Merkel gang” was “losing the game”. In Nazi slang, the names Soros or Rothschild usually stand for all Jews. In a video report by the Jewish Forum, a participant said there had not been gas chambers in Auschwitz while he distributed leaflets with the picture of Ursula Haverbeck, a 90-year-old Holocaust denier jailed a few months ago. Nazi gatherings are not a new occurrence, especially these days. But homeland security investigations into parts of a Bundestag party are. The Federal Office for the Protection of the Constitution (BfV) officially evaluated statements by functionaries and members of the ‘Alternative für Deutschland‘ (AfD). There are two problems here: Critics say, the BfV should not have announced the fact that it is checking both the AfD’s youth organization and the extremist wing around members like Björn Höcke, who is the party’s chairman in the province of Thuringia. By doing so, homeland security had given the radical right-wingers a reason to present themselves as victims. On the other hand, the alarming insight the BfV collected is worth reading. In the 436-page document, which was quoted by the ‘Spiegel’ magazine and other media, it says statements by leading AfD functionaries included “obvious indications for an alignment (…) against the Liberal Democratic Basic Order” mentioned in Germany’s constitution, meaning against democracy itself. The entire AfD party is not being investigated, at least for now, but home security is not ruling out anything. They are trying to establish whether a large-scale investigation is necessary here too, meaning the case of the entire party is officially under review. Höcke actually expresses what he thinks. The BfV, which checked thousands of statements, social media posts and videos, found “obvious xenophobic” quotes of his, along with a mindset which is incompatible with article 1 of the constitution. Nobody in his party seems to be stopping Höcke when he makes statements of this kind, or when he wants to end what he calls the “guilt worship”. He says the German people “should be protected again” and the “politics of memory” had to “take a 180-degree turn”. By not intervening, other prominent AfD members take their masks off. As the German TV magazine ‘Panoroma’ accurately pointed out this week, part of the AfD obviously wants Germany to remember positive aspects of its history, and disguise or forget the most recent war it started, along with the Holocaust. Some in the AfD, including its chairman Alexander Gauland, want to be “proud of the achievements of German soldiers in both world wars”. According to the same TV broadcast, the debate about recent German history, obviously the most terrible kind of history a country can have, has very different ramifications at former Nazi concentration camps, which are now memorial sites. Here, the number of visitors is increasing substantially. There is still a majority of people who do not want to forget, but it should be bigger. The outcome of a poll conducted for German media is that two thirds of all Germans believe that Germany does have a “particular moral responsibility”, meaning a large majority does not see any “guilt worship”. But Höcke, Gauland and their extremist friends seem to be louder than the largely silent majority. Now and then, a ray of hope appears. But the number of antisemitic incidents in Germany, including insults and attacks against individuals recognizable as Jews, is increasing. On top of it all, Berlin might not be persistent enough. On the one hand, good relations with Israel are “public policy”, according to Chancellor Angela Merkel. On the other hand, critics say Germany could do more while refraining from taking unproductive steps, to put it politely. Indeed the Germans often vote against Israel at the United Nations, where Israel-bashing seems to be a favorite pastime. When asked why they voted for anti-Israeli resolutions put forward by Arab countries again, German diplomats would say they agreed in order to avoid resolutions with an even stronger wording against Israel. Foreign Minister Maas recently said so at the Bundestag. To some, this does not sound convincing at all, in any way. Also, Germany still supports the Palestinian Authority under Mahmoud Abbas, who just started the 15th year of his 4-year term, builds palaces instead of schools, and openly admits he continues paying families of “martyrs”, the Palestinian translation for murderers and other terrorists. 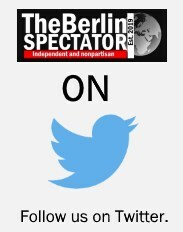 Berlin does not leave or openly criticize the UNHRC either , which is the U.N.’s so-called Human Rights Council. The problem is that this body is being lead by the world’s Human Rights abusers, including Saudi Arabia, China and Cuba, and it mainly shoots out resolutions against Israel, instead of against its main members. The BDS movement, which is trying to damage Israel politically and economically with some success, could be fought more persistently as well, some believe. Josef Schuster, the President of the Central Council of Jews in Germany, told the Jüdische Allgemeine publication the BDS had “an antisemitic approach, without a doubt”. He is not the only critic who says so. Part of the German left supports BDS and spreads antisemitic conspiracy theories badly disguised as ‘Israel criticism’. This did not seem to matter much to the German Bank for Social Economy in Frankfurt, which runs an account for a BDS group called ‘Jewish Voice’. Earlier this week, Schuster harshly criticized the bank for refusing to close that account. The discussion about antisemitism has now reached the upcoming travel trade fair ITB in Berlin, after Malaysia’s Prime Minister Mahathir Bin Mohamad said Israelis were not allowed to participate in the Paralympic Swimming World Championship, or to even enter the country. Malaysia is the official partner country of the ITB. On Saturday, Volker Beck, a prominent member of the Greens in Berlin, said Berlin’s Governing Mayor Michael Müller should end “this lack of principles”. Beck made clear that a partner country which spread homophobia or antisemitism was unacceptable. 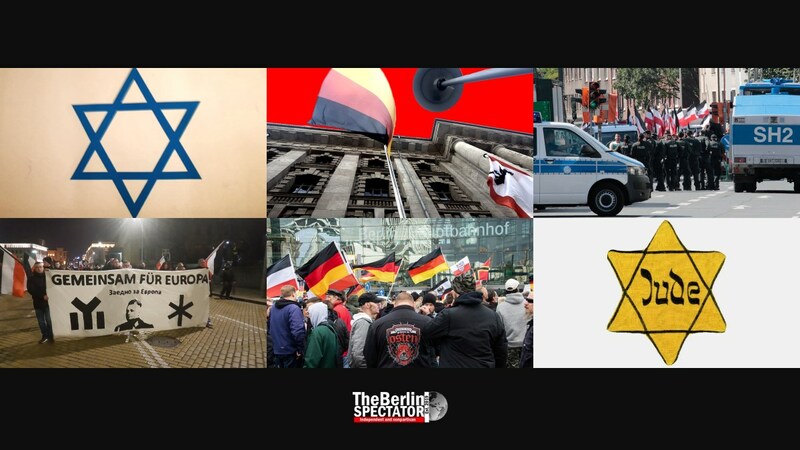 Many members of the Jewish community in Germany are disappointed about the fact that high-ranking government members are largely refraining from denouncing antisemitic statements or from calling for consequences, like in the bank or the ITB cases. And in spite of the fact that the Tehran regime keeps on repeating it intends to destroy Israel, nobody in Merkel’s cabinet seems to have condemned those most recent threats. But Germany does continue to defend the nuclear deal with Iran which the U.S. pulled out of. Most if not all German Jews absolutely disagree with that approach. On the other hand, the same Berlin government has Felix Klein, who is the Coordinator Against Antisemitism at the Interior Ministry. Klein does see dangerous trends in Germany. “The historical amnesia is alarming”, he told the Jüdische Allgemeine. Regarding the general situation for Jews, Klein told the publication many of them liked living in Germany and were even moving to the country. Especially in Berlin, synagogues, “Jewish restaurants”, businesses and cultural centers opened. On the other hand there was a “barbarization in society”. Jews were indeed concerned about AfD representatives who had relativized Nazi Germany’s crimes, Klein was quoted saying. German Jews do have their own organizations, such as the Central Council of Jews in Germany or their congregations, and they have strong supporters like Volker Beck and Felix Klein. Their federal government might be Israel’s best friend, at least officially, but it is not nearly persistent enough to many. In the meantime, the problem remains: Antisemitism is on the rise, and it comes from different directions. Nazis in Saxony definitely pose a danger. In the area of former Western Germany, Dortmund is the main Nazi stronghold. Those Nazis are cross-linked with ‘likeminded’ radicals all over the country and abroad. Again, they seem to be getting ready to travel to Bulgaria, for an annual Nazi March in Sofia. Last year, as many as 100 Dortmund Nazis took part. Islamic antisemitism is another big problem. According to statistics, incidents in which Jews are being attacked or molested by Muslims account for only 5 percent of all antisemitic crimes, but many Jews believe that number is inaccurate. Hatred against Jews is definitely wide-spread among Arabs and Turks in Germany. Jewish facilities, such as schools and synagogues, are being guarded by heavily armed police officers. There is no other way. Germany has to prevent another ‘Munich’ like in 1972, when Arabic terrorists murdered almost the entire Israeli team at the Olympic Games. On top of it all, German Jews feel the terror threat too, and probably more than non-Jews. That is because they know what terror is, since they communicate with their relatives in Israel, where it is an every day occurrence. There is yet another issue which causes discontent among Jews. In their eyes, several German media have a peculiar or even scandalous way to report about Israel. In some cases, the Jewish state’s reaction to terror makes it into headlines and articles, while the preceding terror attack is being hidden, further down in the article, if it is being mentioned at all. Other media do treat Israel fairly, just like every other country, which of course does not mean there would not be any criticism. This generally applies to the dailies published by Axel Springer Verlag, the largest publishing house of its kind in Germany, among others. Springer Verlag’s CEO Mathias Döpfner will be awarded in Berlin this spring. He will receive the Leo Baeck Prize “for his decades-long engagement for the Jewish Community and Israel.” Ronald S. Lauder (read interview with him), the President of the World Jewish Congress, will hold the laudatory speech when in happens on May 16th, 2019, in Berlin.